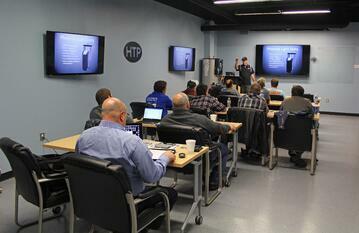 You are not going to want to wait to register ..
HTP has kicked off the 2018 Training Classes at our state of the art training facility in New Bedford, Ma. Beginning in January, contractors began learning more about what goes into some of the most efficient products in the industry. This year, we have added additional class length times to ensure a class schedule that will work for you. You can choose from either a day and a half class or a day class and all class sizes are no more than 12. 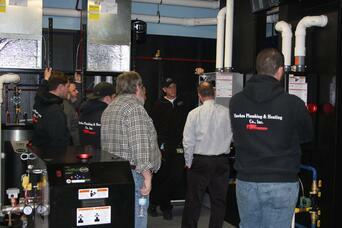 The sessions will include whole product overviews, along with training on high efficiency hydronic boiler applications. All particpants will walk away with more than just more knowledge on all the topics involved, they will even receive a swag bag full of HTP goodies! Click here to register today, don't wait classes are sure to fill up.